String Quartet No. 2 is in two movements, in which I have experimented with certain classical formal principles by synthesizing them in pairs: in “Fathers,” the dark lyricism of an opening slow movement is interrupted by a rhythmically active and complete sonata-type section. When the slow music ultimately returns, it fulfills two aims: it is both the climax of the fast middle section as well as that of the original slow music. In the second movement, “Sons,” one then finds the principle of Scherzo and Trio melded with a type of Rondo. In both movements, much of the harmony is derived from the interaction of the polyphonic lines, but there are pillars of tonal reference given throughout. For example, in the grand arch of “Fathers,” the inner fast music gravitates towards E, while the structure of the outer sections derives from D#/Eb. This harmonic structure is first suggested by the opening motive of this movement, heard in the viola. A similar type of reflection may be found in “Sons”: the beginning of the cello’s figure (A-G-F) provides the articulation for the initial harmonic points of the first Scherzo-Trio-Scherzo. This concept, that of motivic harmony, is often found in other of my works.Still, while such patterns and interrelationships are to be detected throughout this composition, its primary interest should be found in its emotional intensity and dark lyricism. String Quartet No. 2 was composed in 1989-90 in Durham, North Carolina, and in New York City. The first movement was premiered by the Ciompi String Quartet at Duke University, 13 December 1989. 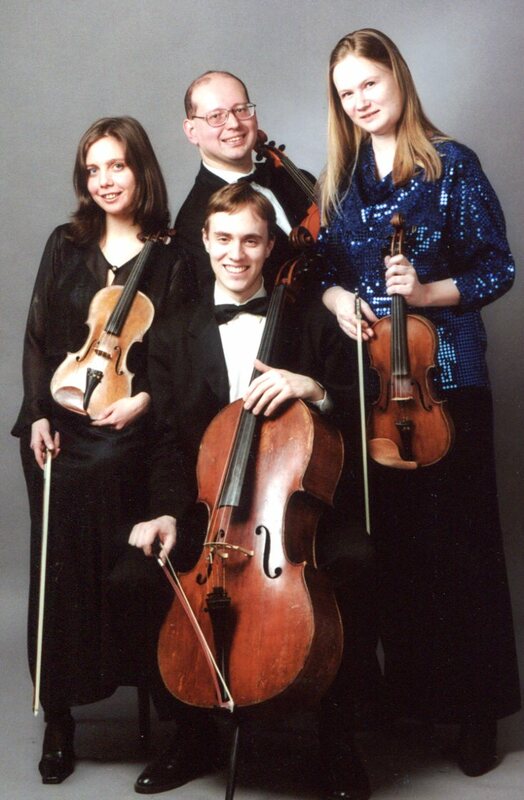 A finalist in the 2011 New England String Quartet International Composition Competition and recorded by the Nevsky String Quartet in 2003 in St. Petersburg, Russia, this recording of the complete work is included on my 2013 CD, String Quartets.